Lace up your walking shoes and get started, because there is a lot of ground to cover in Costa Rica. 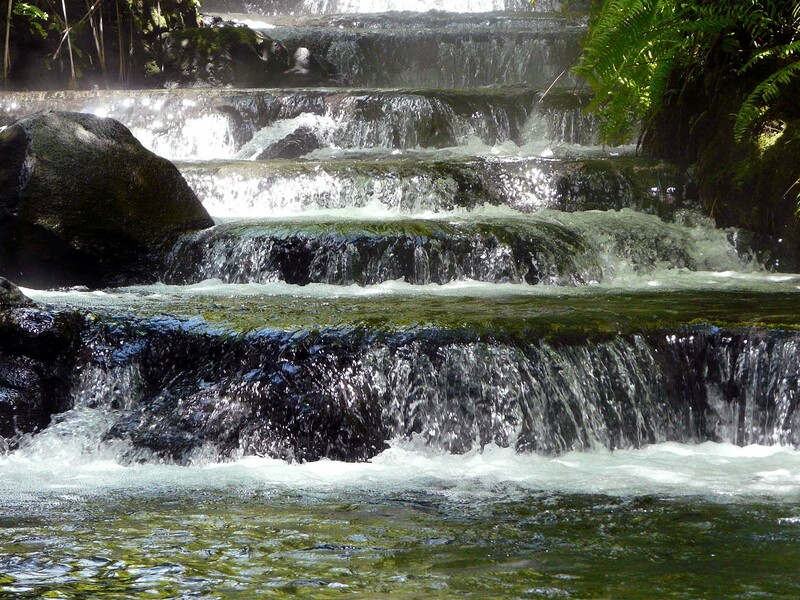 Start off with a relaxing stroll to a swimming hole fed by a cascading waterfall. Add more miles with a loop through a rainforest filled with bird songs and the chatter of monkeys. Gain elevation with an ascent to the peak of a dormant volcano or a climb into a cloud forest where more than 100 species of orchids thrive. There are routes for all interests and ability levels, and many hikes can be enjoyed as day trips from beachside resorts or mountain lodges. More than half of Costa Rica is covered in forests, much of which lies within 26 national parks and 160 additional protected areas. Five major mountain ranges rise from the coastal plains on the Caribbean and Pacific coasts, creating 12 distinct climate zones. Hiking trails give access to the country's full extent of ecological diversity, with routes ranging from easy mile-long walks to multi-day treks to mountain summits and remote valleys. Dress for the elevation. While coastal areas often see temperatures in the 90s, mountain regions can be 20 degrees cooler, and on the way to the summit of tall peaks, hikers may see the mercury drop into the lower 60s, which can feel chillier than expected when accompanied by higher humidity, as is the case in cloud forests. Trails in Arenal National Park lead through lava beds, open savannas and rain forests, delivering the closest safe view of an active volcano. A hike into Rincon de la Vieja passes smoking fumaroles, hot mud pools, and eerie steam holes. 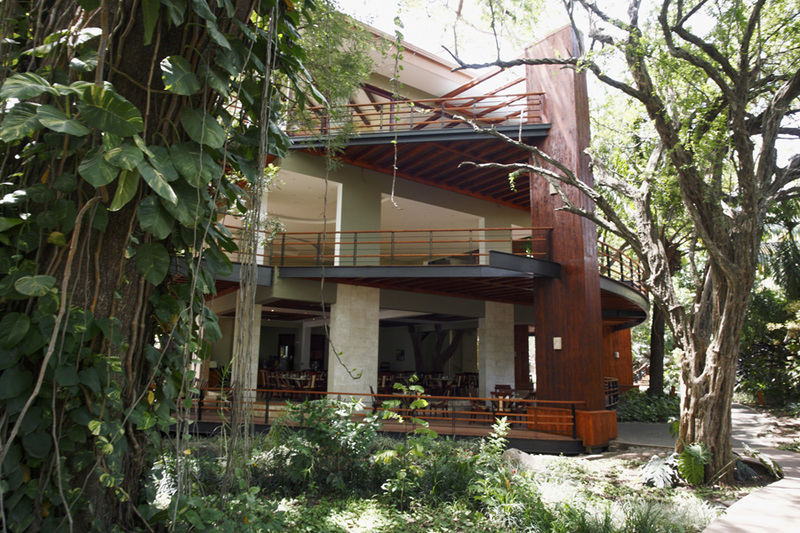 Other routes enter ancient forests on the way to naturally heated pools and cool waterfalls. Hiking shoes that breathe, and have enough tread to hold on muddy inclines. Light to mid-weight moisture-wicking clothing and a spare pair of socks. Swimsuit and a towel if there are waterfalls or hot springs on the route. A light, water-resistant jacket for higher altitude hikes. Hat and sunglasses. Remember a daypack for water, snacks and sundries. 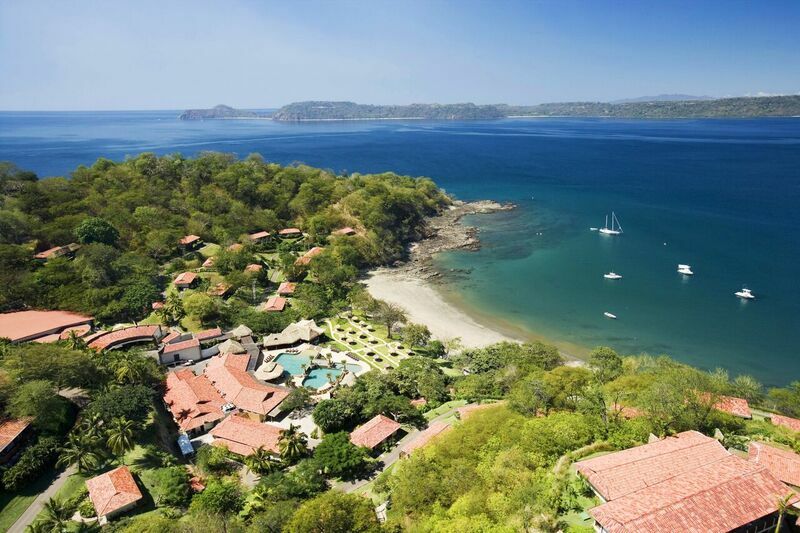 PAPAGAYO, GUANACASTE - CARADONNA RECOMMENDS includes 7 night Deluxe Room accommodations, Rincon de la Vieja National Park Hiking Tour includes hiking, waterfalls, fumaroles, hot mud pools, steam holes, amazing landscape, ancient trees, spider monkeys, toucans. other small creatures, Buena Vista Canopy Adventure & Natural Spa Tour includes lunch, 12 ziplining platforms, water slides, horseback riding, steam baths, natural spas, monkeys and toucans, Tenorio River Rafting Adventure Tour: Class III - IV includes 10 miles of intense challenging rapids, Guaitil Pottery and Shopping Santa Cruz Cultural Tour, breakfast, lunch and dinner daily, snacks and beverages including top-shelf alcohol, scheduled daytime activities and nighttime entertainment, free WiFi, $200 per room resort coupons, roundtrip airport transfers, hotel tax and service charges. Valid 8/18/19-10/26/19. Add $591 per person for travel 10/27/19-12/22/19. Book by 6/18/19. ARENAL AND PLAYA HERMOSA - 7-NIGHT ACTIVE ADVENTURE PACKAGE includes 3 nights accommodations at Arenal Kioro Hotel, 4 nights accommodations at Bosque Del Mar hotel, one Chocolate tour and Rafting combo tour, waterfall rappelling, choice of standup paddle or canapy zipline adventure, catamaran adventure, breakfast daily, visit to the Llanos de Cortex Waterfall, transfers, hotel tax and service charge. ARENAL, MANUEL ANTONIO & HIDDEN RAINFOREST WATERFALL COVE - EPIC COSTA RICA WATERFALLADVENTURE includes 2 nights at Arenal Manoa including breakfast daily, 3 nights lodging at Parador including breakfast daily, 1 night Overnight Secret Rainforest Open Air Waterfall Cave including breakfast, lunch and dinner daily. 1 night at Parque del Lago including breakfast daily, Saddle, Paddle and Hike (Horseback and Rafting Adventure including lunch, Canopy Zip line Treetop Adventure including lunch, access to the Butterfly Botanical Atrium via self-guided tour, Manuel Antonio Park guided walk, Rappel adventure at Diamantes Waterfall Cave, Hiking and river pool cliff jumping, roundtrip airport transfers, shared shuttle transfer Arenal - Manuel Antonio and private transfer Las Tumbas to San Jose. SAN RAMON, MANUEL ANTONIO & OSO PENINSULA - BIG 3 COSTA RICAN ADVENTURE includes 2 nights accommodation at Villa Blanca including breakfast daily, 3 nights accommodation at Si Como No including breakfast daily, 3 nights accommodation at Aguila ade Osa including breakfast, lunch and dinner daily, one day trip to Arenal with rafting and visit to Tabacon Hot Springs including lunch and dinner, one cloud forest hike, one visit to Manuel Antonio guided park walk, one Canopy Zipline Adventure, one visit to Cano Island Biological Marine Reserve Snorkeling Tour, one Corcovado National Park Tour, all ground transfers between destintions and included activities, roundtrip airport transfers, hotel tax and service charges. PAPAGAYO, GUANACASTE - BUILD YOUR OWN PACKAGE includes 7 night Deluxe Room accommodations, breakfast, lunch and dinner daily, snacks and beverages including top-shelf alcohol, scheduled daytime activities and nighttime entertainement, free WiFi, $200 per room resort coupons, roundtrip airport transfers, hotel tax and service charges. 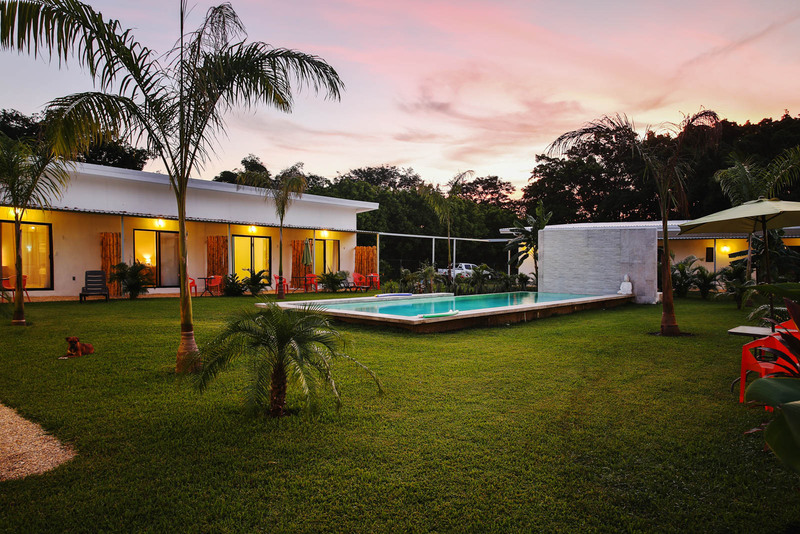 PAPAGAYO, GUANACASTE - BUILD YOUR OWN PACKAGE includes 7 night Deluxe Room accommodations, breakfast, lunch and dinner daily, snacks and beverages including alcohol, roundtrip airport transfers, hotel tax and service charges. PLAYA HERMOSA - A unique beach front high-end boutique eco concept located in Hermosa Bay, Guanacaste. Surrounded by beautiful beachfront gardens with frequent visits by local monkeys and iguanas. Playa Hermosa Bay is a great and peaceful location for beach lovers, not crowded and offers a gorgeous view of Pacific Ocean. Close to Local diving, Catalina Island and Bat Island and lots of topside activities. 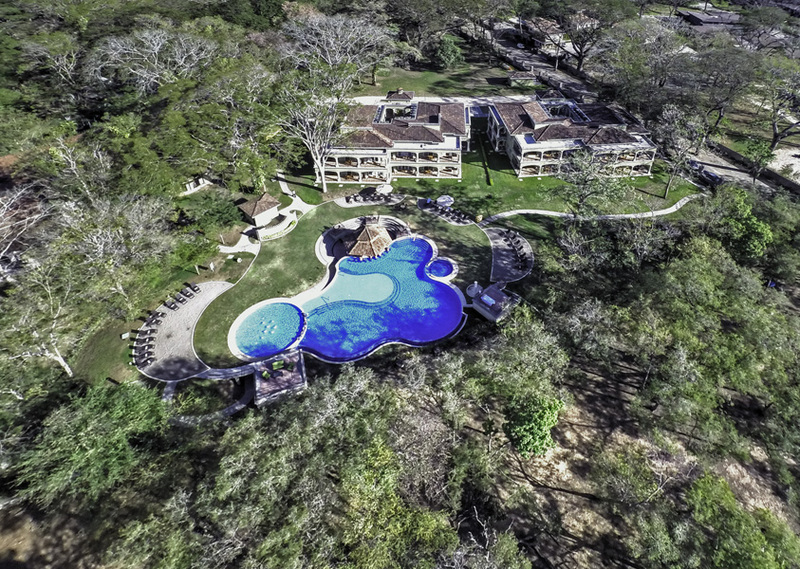 PLAYA HERMOSA - Beach Front All Inclusive Boutique Resort of 26 rooms located within a twenty two acres Tropical Dry Forest. Casa Conde Beach Front Hotel offers comfort and relaxation with one of the most pristine beaches in Costa Rica, Playa Panam?. Many water sports can be enjoyed including diving, fishing, swimming, and windsurfing. Playa Panam? has the Blue Flag certification and categorized as one of the most sanitary beaches in the country. 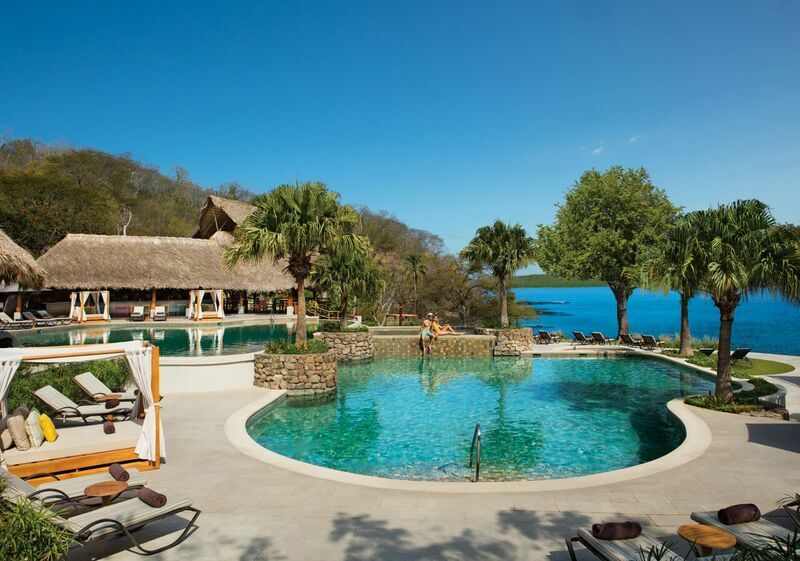 PAPAGAYO, GUANACASTE - A short 20 minute drive from the Liberia International Airport, this adults-only resort will seem a million miles away. Perfectly situated on a serene beachfront and surrounded by lush tropical gardens, this hideaway will offer an Unlimited-Luxury experience in one of the most romantic and intimate settings imaginable. 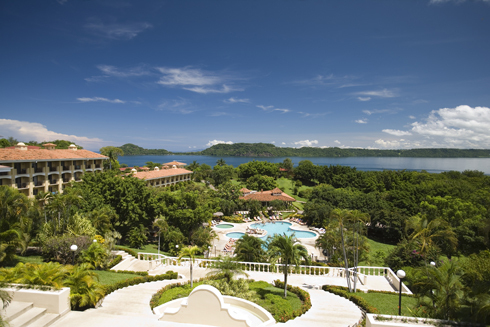 PAPAGAYO, GUANACASTE - The Occidental Papagayo is an all-inclusive resort in which premium service is joined by a breathtaking location just 35 minutes from Liberia International Airport. Situated on a bluff with stunning bay views and sunsets, the resort offers 4 restaurants, 4 bars, a day spa, tennis courts and many other activities. Diving services provided by Rocket Frog Divers nearby. Costa Rica is known as the safest and most prosperous country in Central America. It is home to a large community of North American ex-pats, but also retains its distinctly Latin culture, which includes a relaxed attitude to schedules that is known as “Tico time.” Laid back is not the same as uncaring, however, and Costa Ricans are known for taking pride in their appearances and their work. A well-developed road system connects major destinations, but much of the country's central highlands remain wild and protected within national parks. Within a day's drive of beach resorts at Guanacaste lie the slopes of Arenal Volcano, the Monteverde Cloud Forest and Palo Verde National Park. 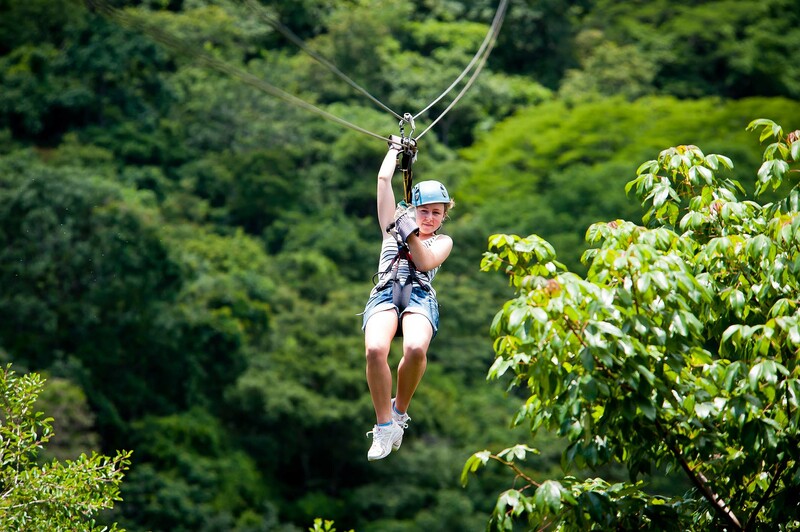 Costa Rica is the eco-adventure capital of the Caribbean. Surfers come from around the world to ride famous breaks from Witch's Rock to Pavones. Coastal lodges are filled with fishermen seeking light tackle challenges with roosterfish or tug of war with a marlin. Forests draw birders, hikers and naturalists, and there are more than a dozen rivers offering whitewater rafting thrills. 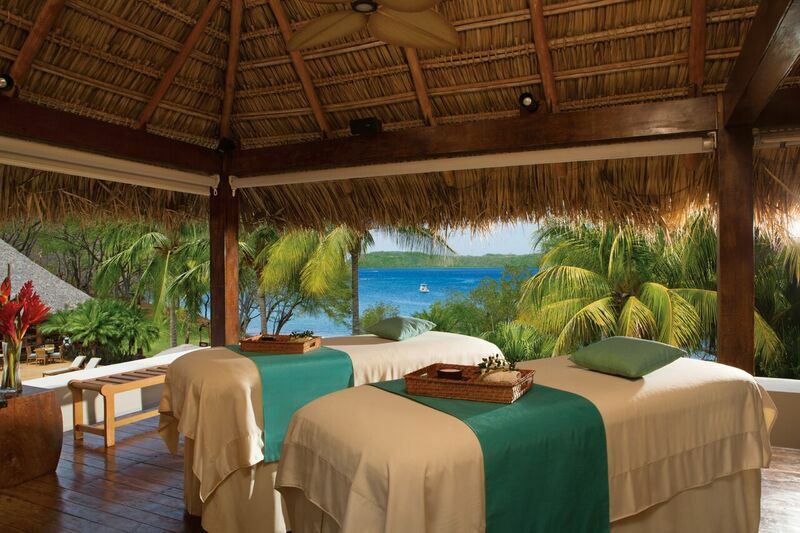 More relaxing experiences await at hot springs, where spa treatments and soaks in mineral-rich volcanic water provide a soothing end to an active day.